She Likes It Fresh | Keeping it fresh, one bite at a time. 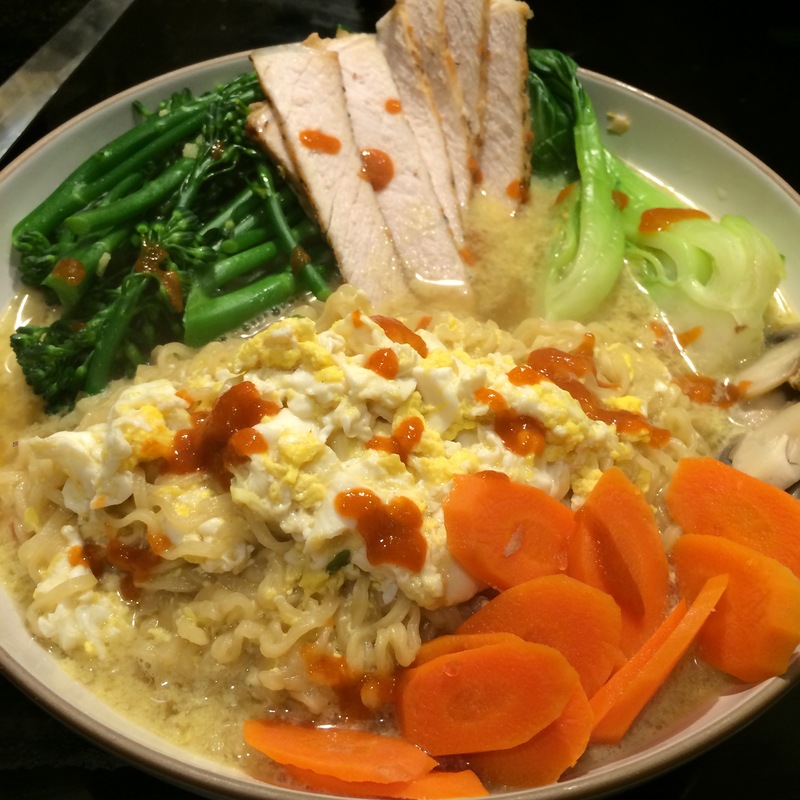 Instant ramen noodles get a real bad rap. Yet college kids everywhere are surviving off the 5 for $1 meals that you can find at just about any grocery store, gas station and 7-11. I ate my fair share of Ramen in college, and years afterwards. With no regrets! I loved the stuff haha. Sure, its enough sodium to bloat you up like a balloon but once in a while I think it’s OK to indulge. I’ve always wanted to have a Ramen night where I make “Classy Ramen” by adding in fresh ingredients instead of the freeze dried stuff that comes at the top of the Cup of Noodle. 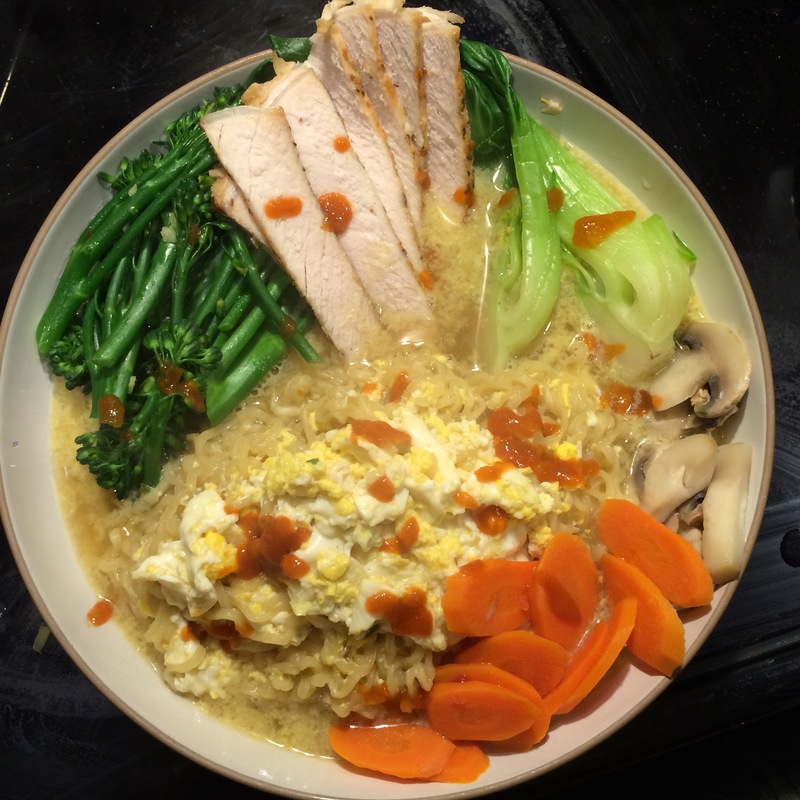 The addition of protein can class up Ramen even more. My husband and I were snowed in all weekend so it was the perfect time to make Classy Ramen!! We headed to Trader Joe’s to pick up some fresh veg for our dishes and let our imaginations run wild. 1. Bring 2 cups water to a boil. 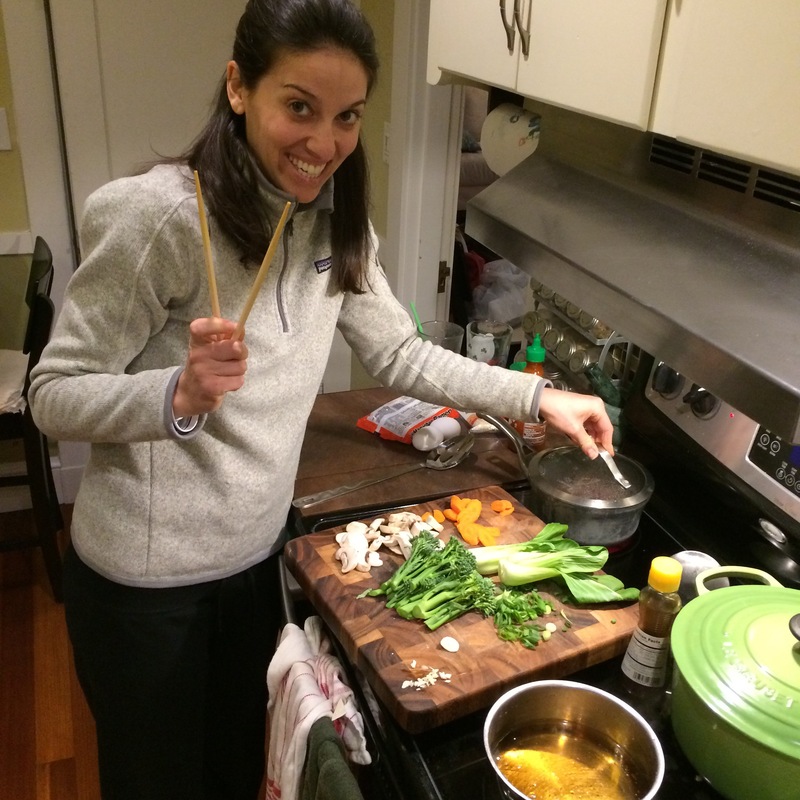 Add ingredients listed above to the broth to taste. Depending on how spicy, salty, garlicky you want your Ramen. 2. To the seasoned boiling broth, add your veggies. Boil just a few minutes until blanched, but still have a nice crisp. 3. 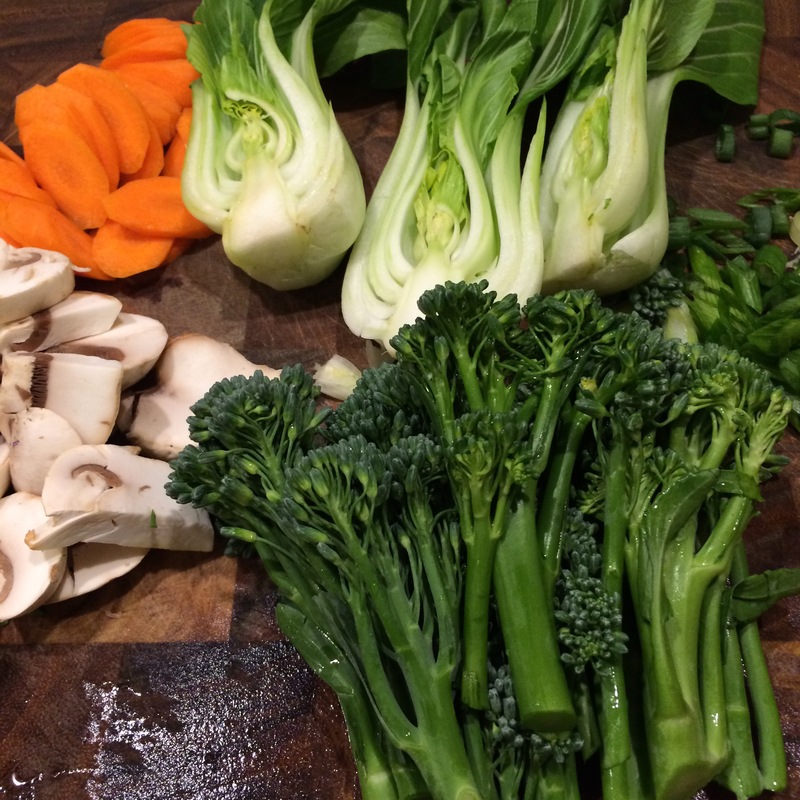 Remove veggies from the broth, arrange in your bowl. 4. 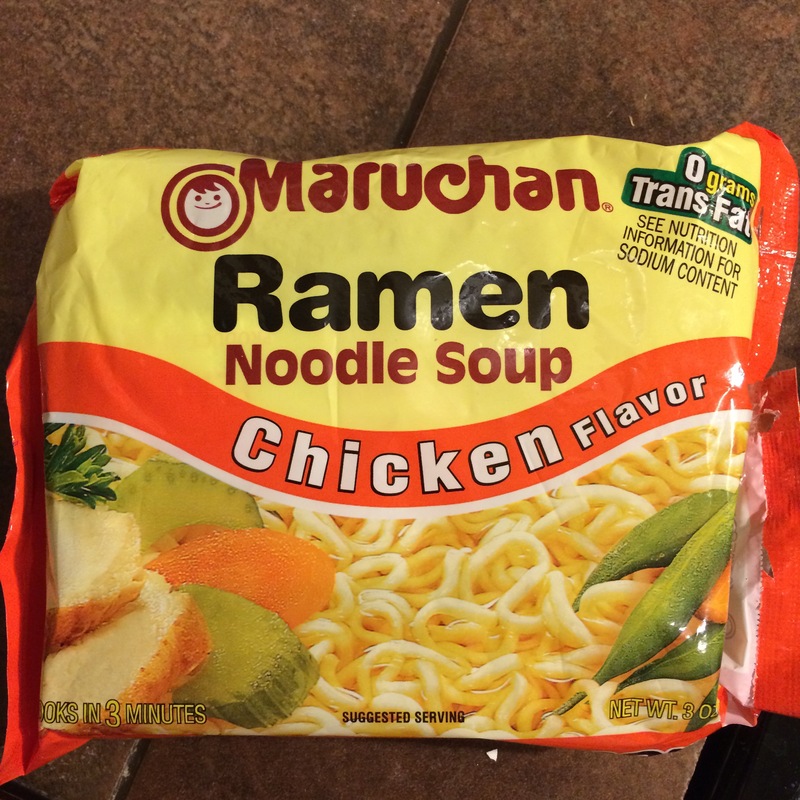 Add noodles to the broth and add flavor packet included in the package. Break up noodles a bit with chopsticks while they boil. 5. Crack 2 eggs (or 1 if you prefer) in to the noodles and allow to cook for a minute or so. Break up egg with chopsticks. 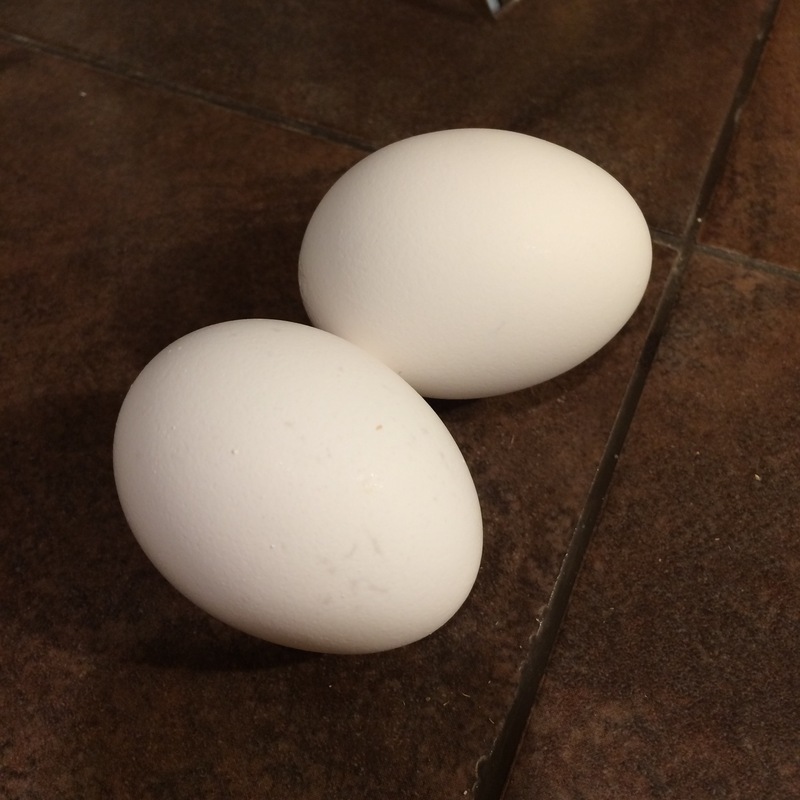 (You can add the eggs this way, or you can soft boil and add to the dish when served, however you prefer). 6. Add the cooked noodles to your bowl of veggies. Pour broth over everything. 7. Top with Siracha for extra spice, chopped scallions, and sesame seeds. This dish came out sooo good! It was insanely flavorful and delicious, and I didn’t feel so guilty about it because of all the fresh veggies I had packed it with. Give this a try- you won’t be dissapointed! Here’s an article from HuffPost on some surprising things about Ramen! Any other tips to make Ramen classy? What boring foods have you elevated? Hey all! Hope you had a fantastic weekend, and are surviving the current snow fall if you live in the NorthEast! Holy moly I can’t believe how much more snow if falling right now. We are getting an additional 10-12 inches on top of the 2 feet that is already out there from Juno! I prepped a few meals for my work week yesterday before the Super Bowl, and I also made some overnight oats for me to enjoy this morning. They came out awesome! 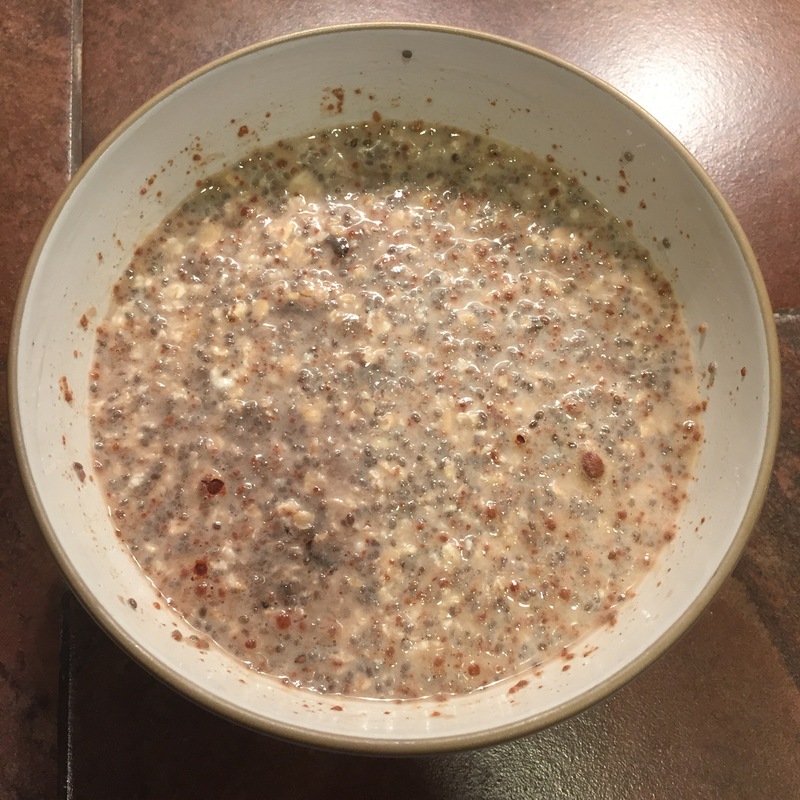 The overnight oats aren’t your straight-forward ones that you can pop right out of the fridge in the morning and eat. 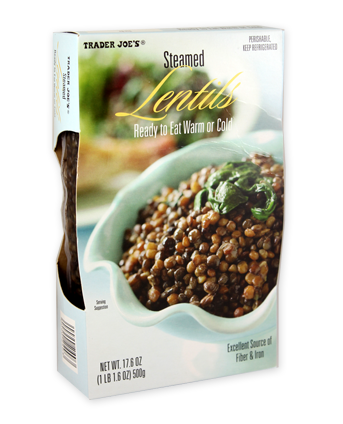 These require some heating on the stove, or in the microwave the next morning to make them extra delish. The night before, mix all the ingredients together (except the peanut butter). Cover and refrigerate. 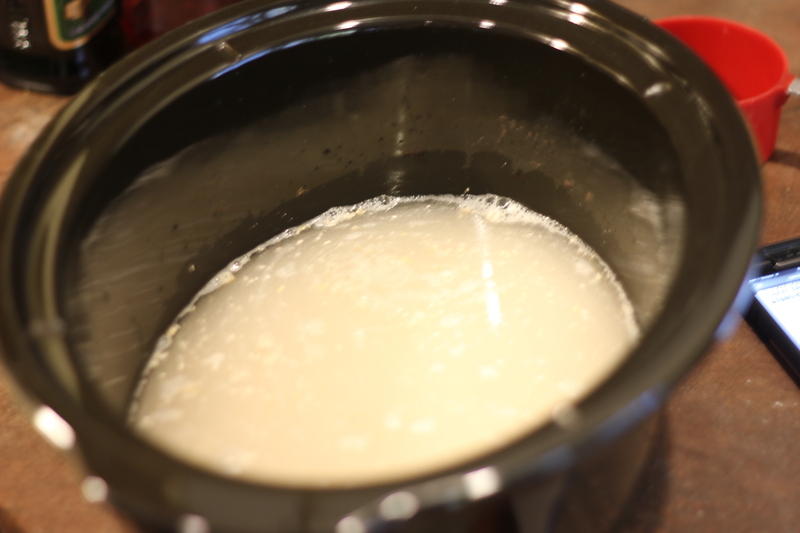 In the morning, heat the oats on the stovetop or in the microwave until nice and thick and heated through. Sprinkle salt to taste, mix and top with unsalted peanut butter. Heating on the stove- notice how thick they are getting! The above picture is the final product! 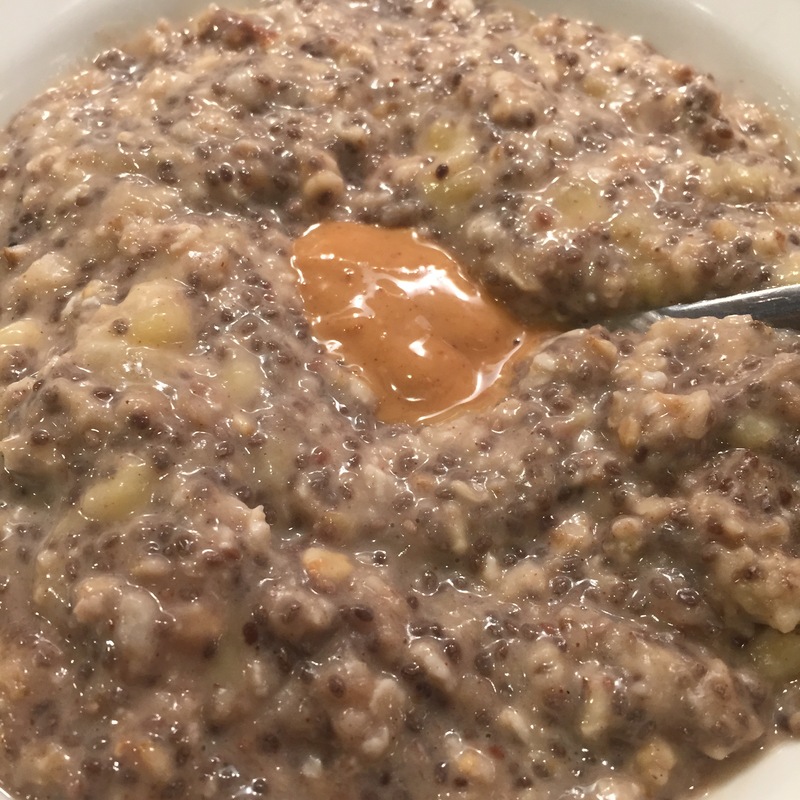 Thick, creamy, satisfying oats with a big dollop of peanut butter on top- omg so good! Happy Monday everyone! Are you getting snow today? 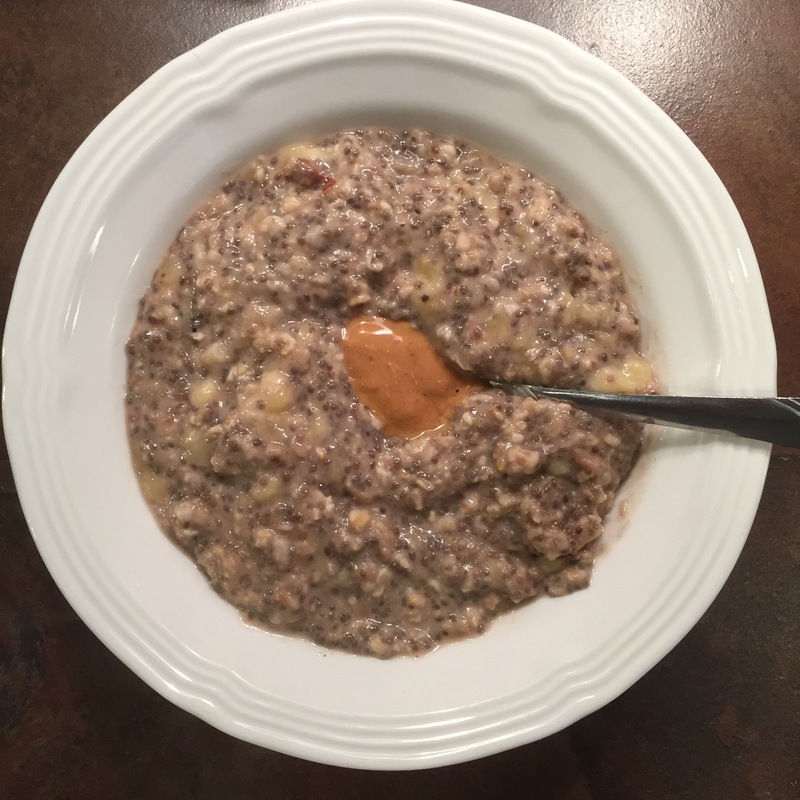 Do you have any favorite overnight oat recipe you’d like to share? 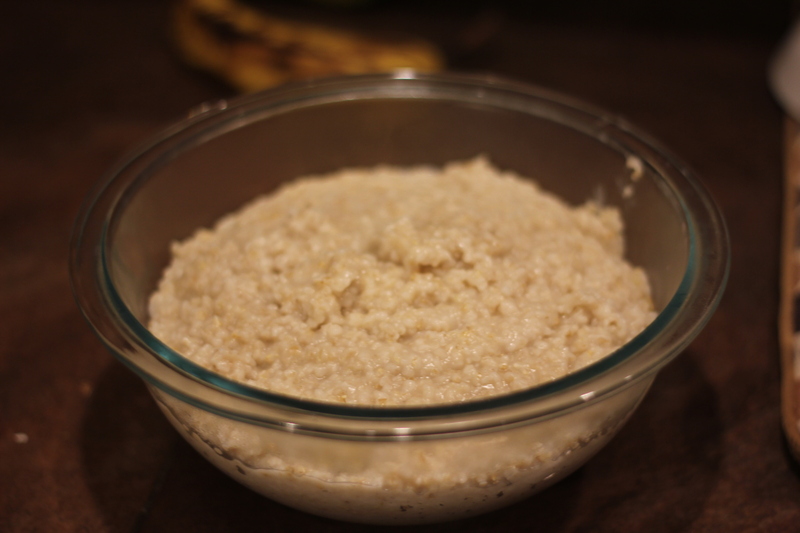 I was totally inspired by a post over at Carrots ‘N Cake about Crockpot Steel Cut Oats. So I decided to make them myself. 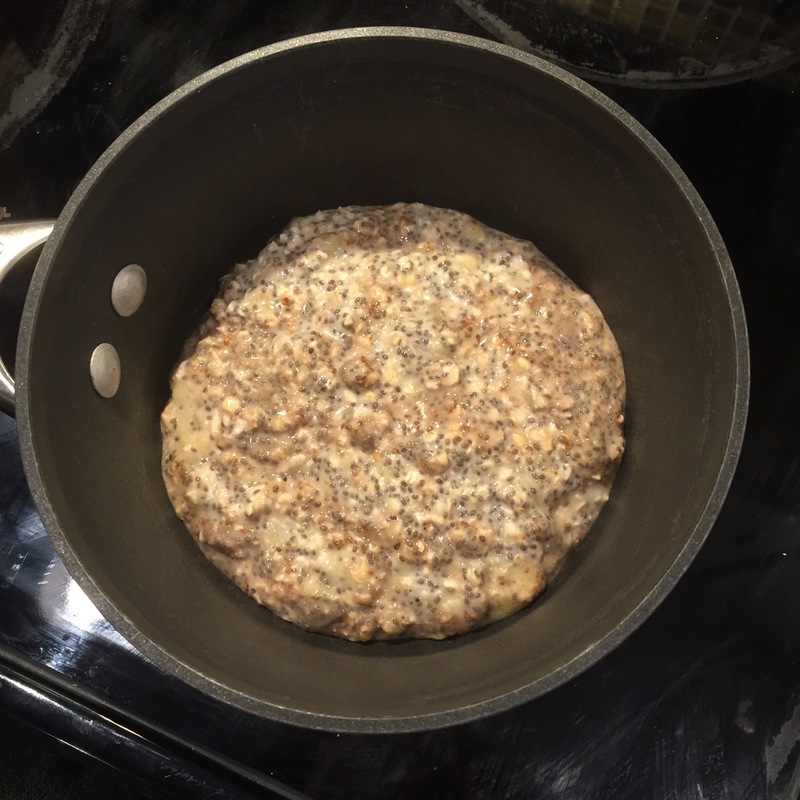 They were sooooo incredibly easy, and made my mornings a breeze when preparing breakfast. I think this recipe would be great for people with kids that have to rush off to school in the morning. 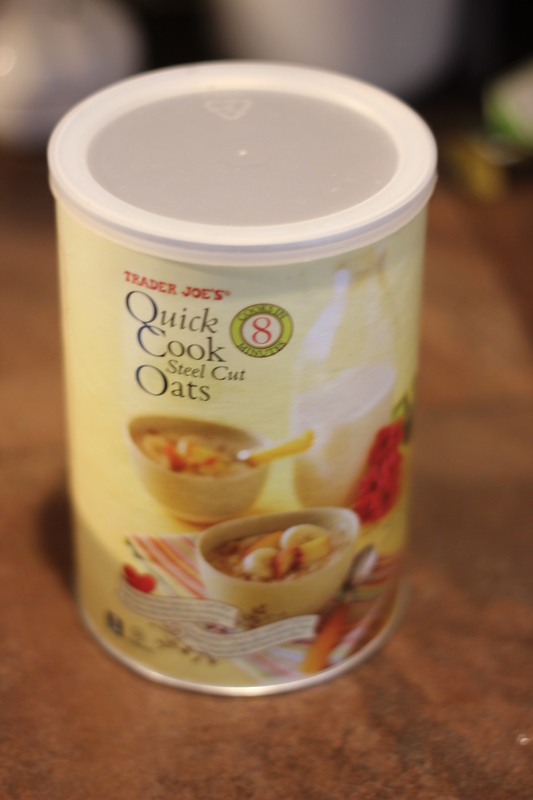 Literally, all this takes is 2 minutes in the microwave and you have the best oatmeal ever. It’s so thick, rich, creamy and keeps me full for hours. Combine the 3 ingredients in your crockpot and set the timer for 2.5 hours. The oats are done when the water is pretty much all absorbed by the oats. 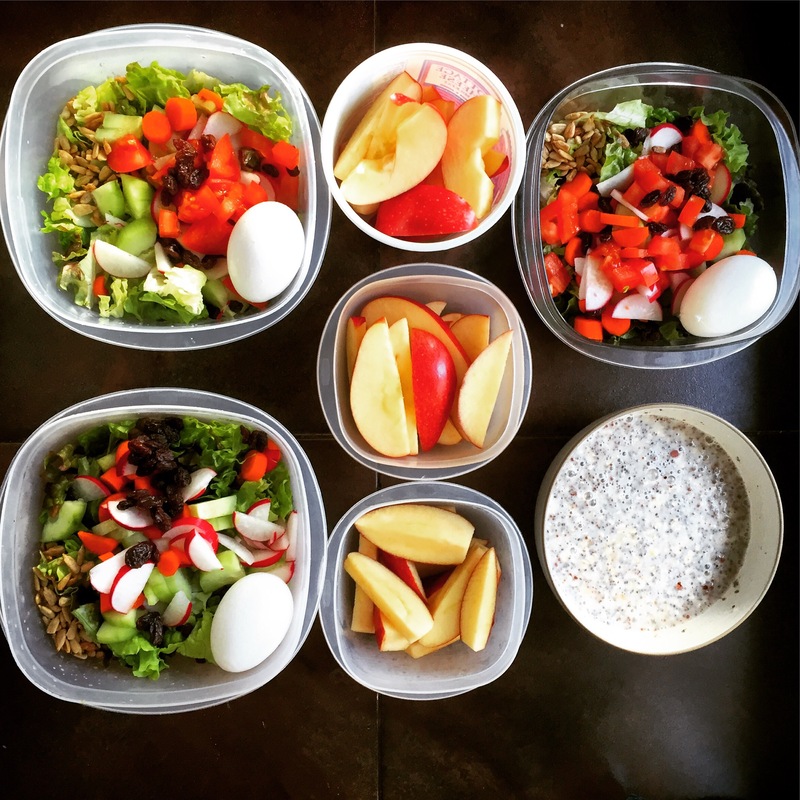 Store in your fridge in an airtight container. Before heating, I added almond milk to the oats as they get pretty thick while in the fridge. This recipe made a total of 4 servings. Check out the pictures below! I love fresh fruit in my oats so I usually top mine with banana, strawberries, raspberries, etc. I also like to add honey, chia seeds, raisins and Teddie’s peanut butter. Depends what I’m in the mood for! What toppings do you like to put on your oatmeal? 1. In a dutch oven, heat oil over medium heat. 2. Brown chunks of venison. I did this in 2 batches. Remove meat from pot. 3. Cook onions and mushrooms until just soft. Add garlic, cook for 1-2 more minutes. 4. Add browned meat back to the pot. 5. Add Worcestershire sauce, bay leaf, oregano, salt and water. 6. Simmer, covered, for 2 hours (or until meat is tender). 7. Add potatoes and carrots, and cook until they are tender to your preference. 8. In a separate bowl, combine reserved flour and water by whisking with a fork. Add it to the stew and cook until thickened. 9. Remove bay leaf before eating, season with fresh ground pepper to taste. And enjoy!! 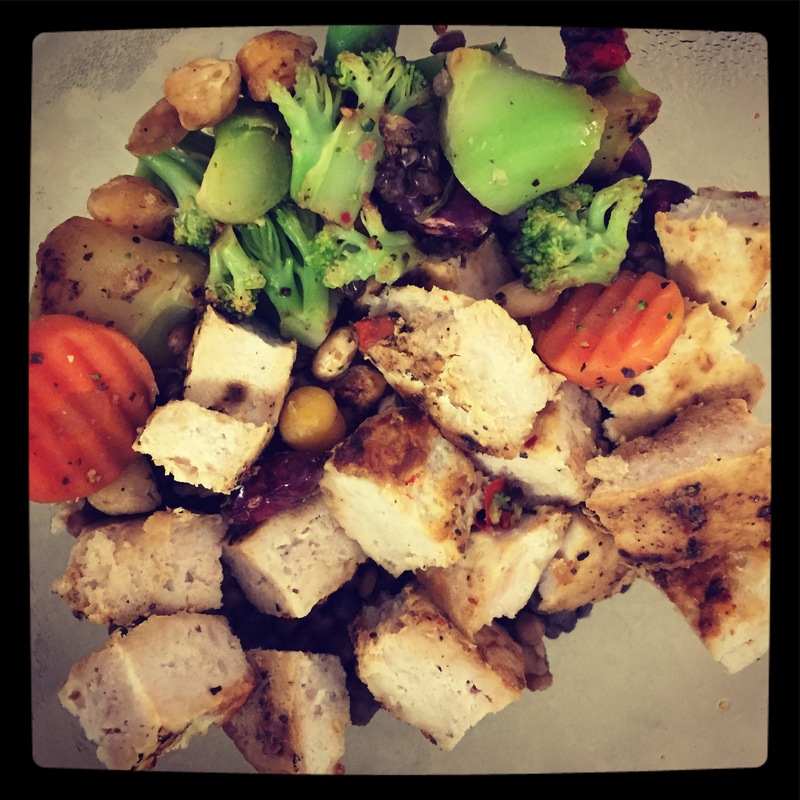 Let me know what you guys think of this recipe! I’d love to get your feedback! 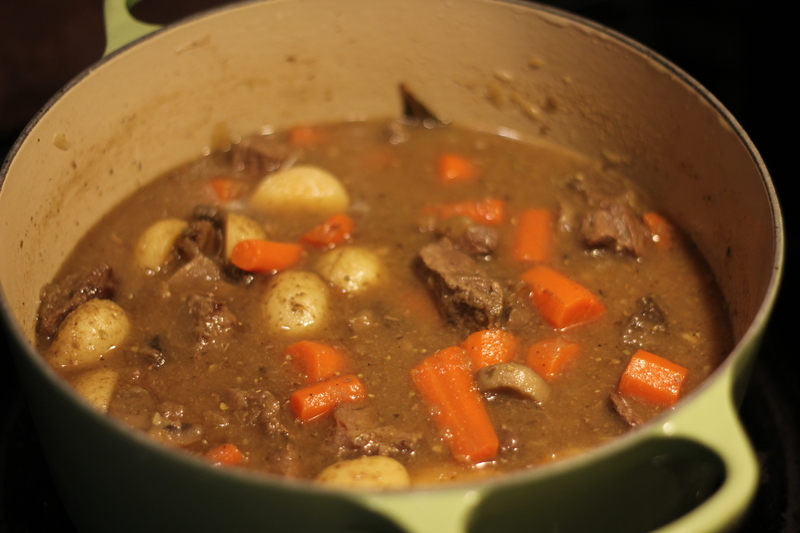 Do you have a great venison recipe that you want to share? I’m always looking for more ways to cook it! If you live in the Northeast, how are you spending your Blizzard day?! 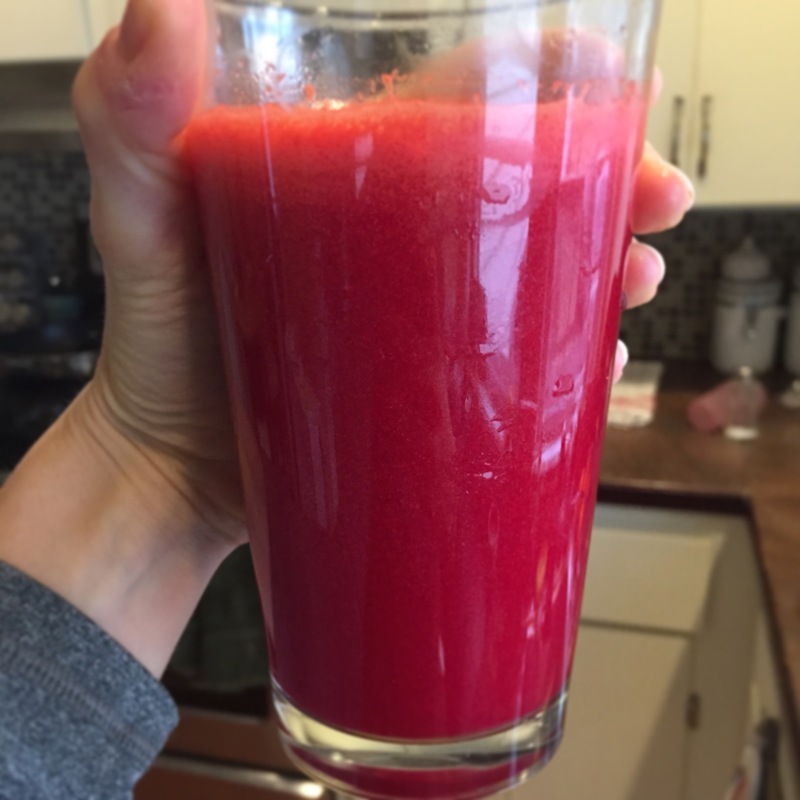 I used 2 oranges, 1 beet, 4 carrots, a bit of ginger. That’s it. And it was so pretty. Tasted good too! I went to the gym in the afternoon (night shift morning for me). We did a lot of different stuff- targeted different muscle groups and there was some cardio too. 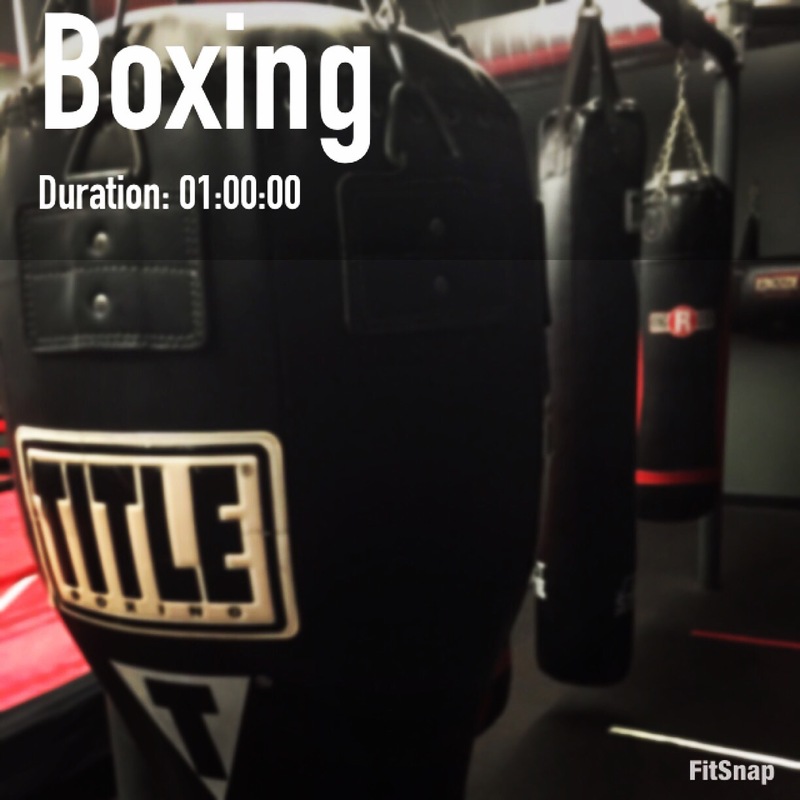 My favorite classes are the ones like this, mixing it up makes it interesting and the workouts just fly by. I don’t have a treadmill at home, so I’m trying to run on the one at my gym if I don’t get outside to run before dark. 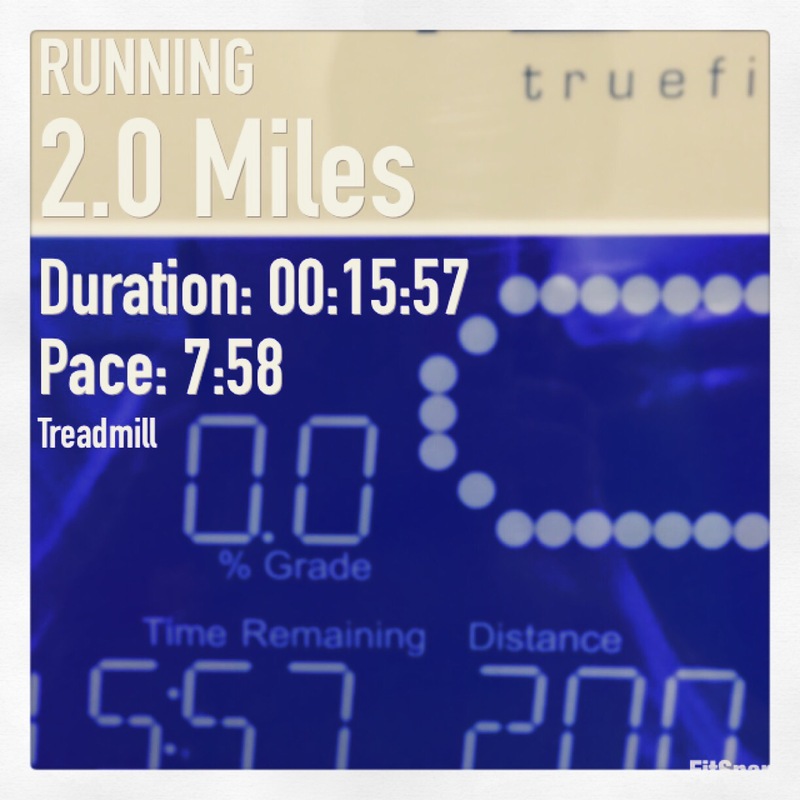 I ran 2 miles on the treadmill. Ugh, it’s so boring. I would much rather run outside but beggars can’t be choosers this time of year. I ate a Clif bar on the way home. White chocolate macadamia. 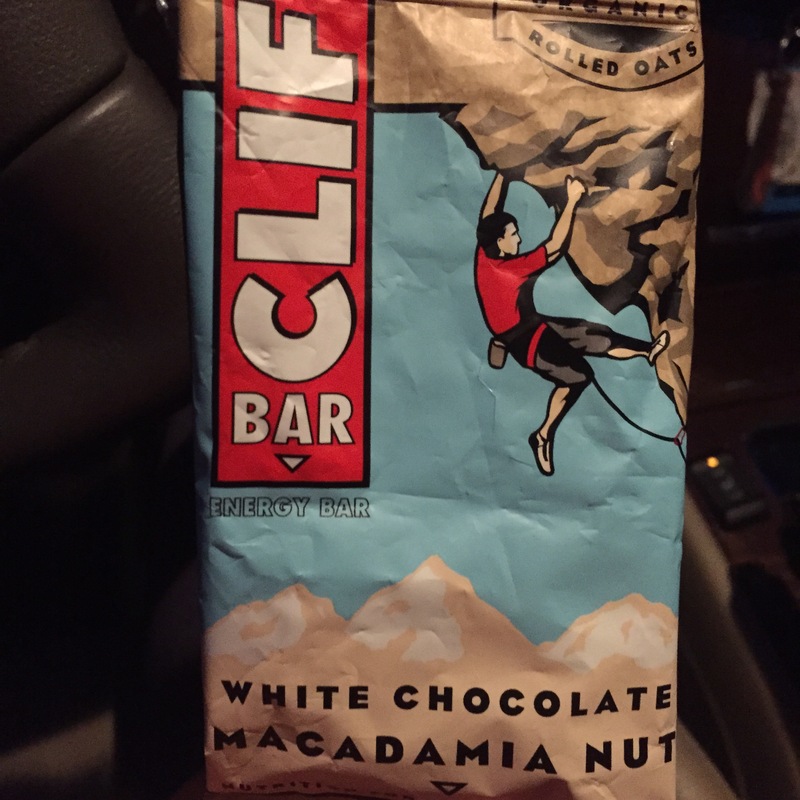 Super tasty, my fave Clif bar. But sorry the ingredients and nutrition don’t stack up to the Quest bars! I have a bunch of Clifs in my house so I’m trying to eat them up so I can buy more Quests lol. Clif bar or Quest? Run on the treadmill or outside? Weekend plans? It’s almost Friday! And I have the weekend off so I’m pumped! 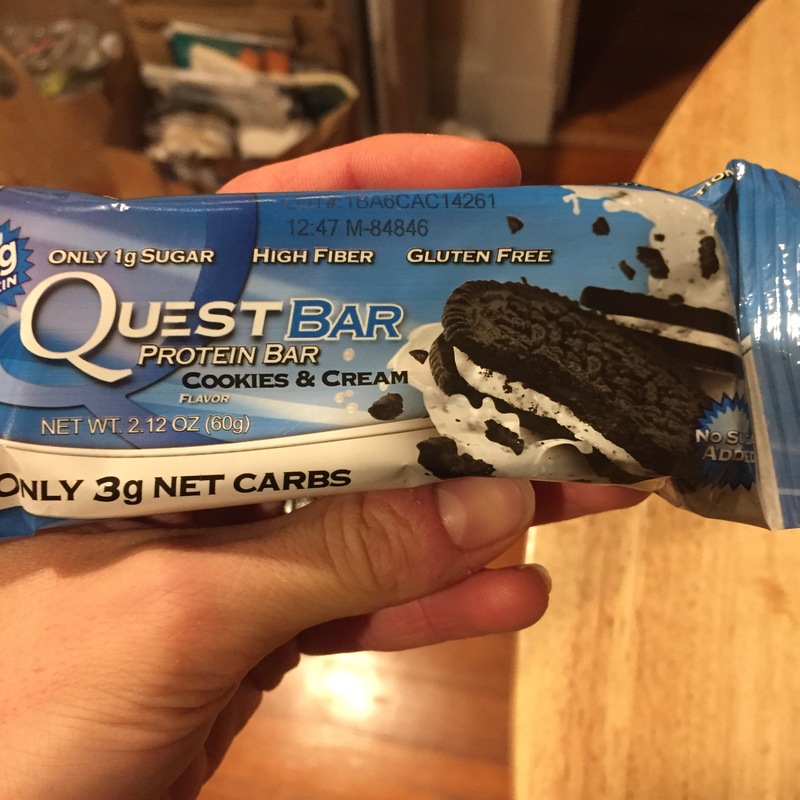 So I’ve been seeing so much hype about the Quest protein bars all over social media, the blog scene, everywhere. I wanted to try them and see what all the excitement was about. I went to GNC and picked up 4 bars. They were having a ‘buy 3 get 1 free sale.’ I didn’t know they were $2.99 each! That’s expensive in my opinion. But whatevs, I bought them anyway. I had the cookies n cream flavored bar after my boxing class today. Oh. My. God. OMG. Wow. I’m a believer. It was so delicious. I kept looking at the package to check the nutrition facts- only 1 gram of sugar?! But how? It tasted too good to be true. And I could pronounce the ingredient list! I was immediately hooked haha. I can’t wait to try the other flavors I got- I have a feeling this could turn into an expensive habit! Unfortunately the GNC I went to didn’t have the s’mores flavor that everyone is raving about so I’m on the lookout for that one. I’ve worked the last three nights in a row so I’m super pumped to have the weekend off to relax. Happy Thursday all! 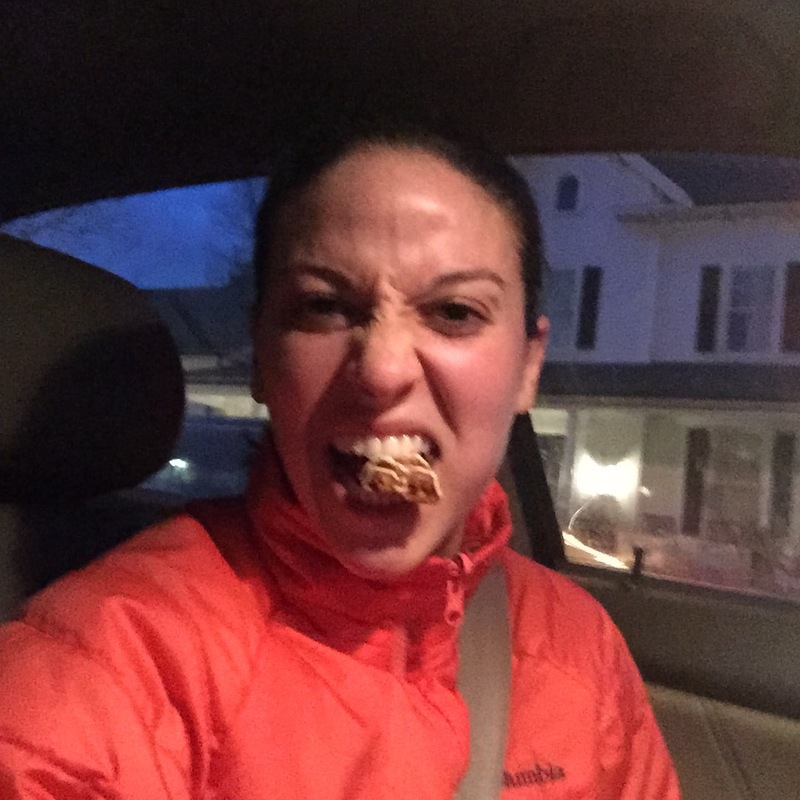 Are you obsessed with Quest bars? What is your favorite flavor? Have you tried the s’mores and does it live up to the hype? I saw this in a magazine last night and it jumped off the page at me. I love it. It’s so true. 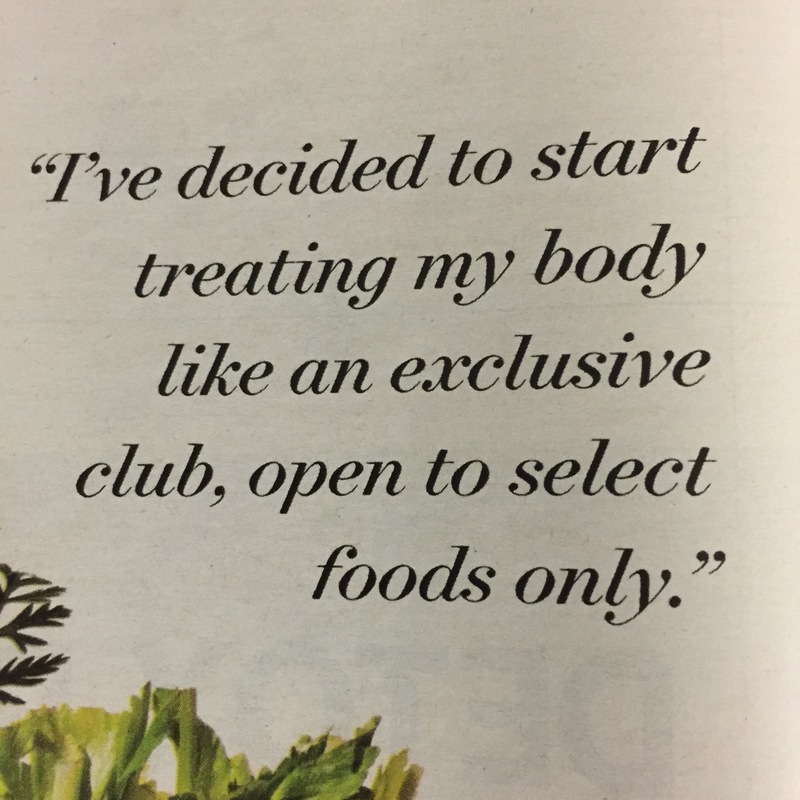 I wish more people felt this way about their bodies. We are only given one body, so let’s show it the respect it deserves!! I’m not preaching to eat vegan, paleo, clean, vegetarian, cleanse, etc etc. 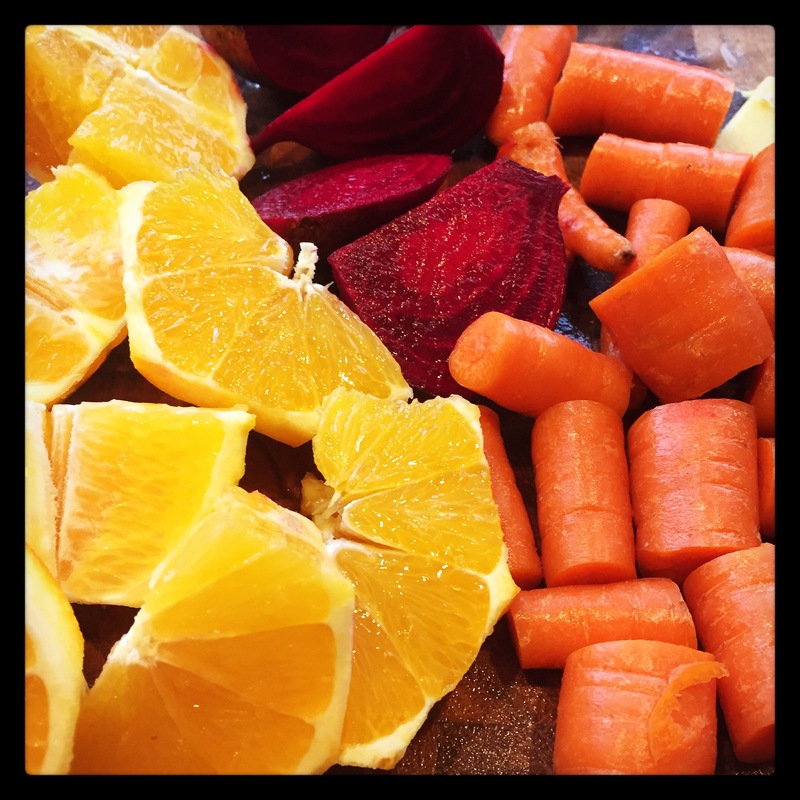 The foods we select to put in our bodies should be worthy of it! And make us feel good! That’s all for me for today! Let me know if this quote ignited something inside you!